Today I’m writing about a special video game called Never Alone. This game is especially important for me since it was designed to “share, celebrate and extend culture”, just like my Acadian video game La vie d’Arcade. 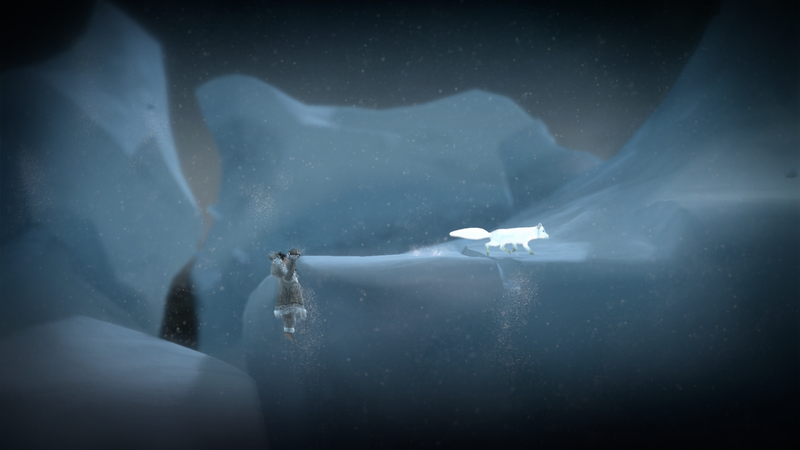 Never Alone, or Kisima Ingitchuna in the Iñupiaq language, is a puzzle-platformer for one or two players. 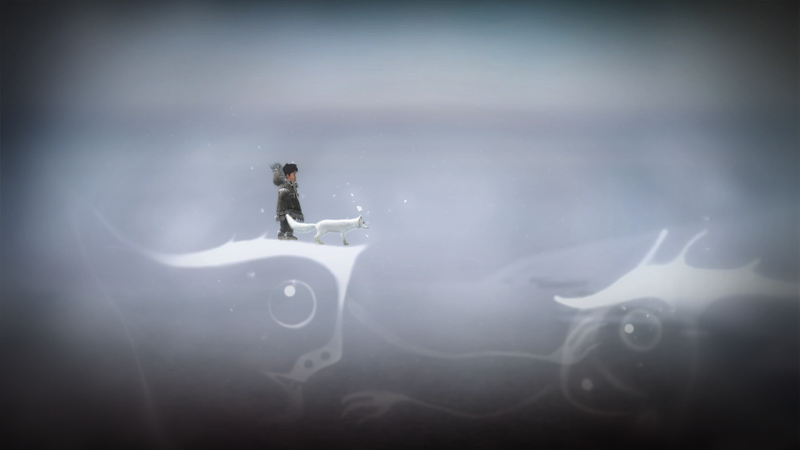 The game is set in Alaska and stars an Iñupiat girl named Nuna and her arctic fox friend. The duo must overcome obstacles together while trying to discover the source of a mighty blizzard. 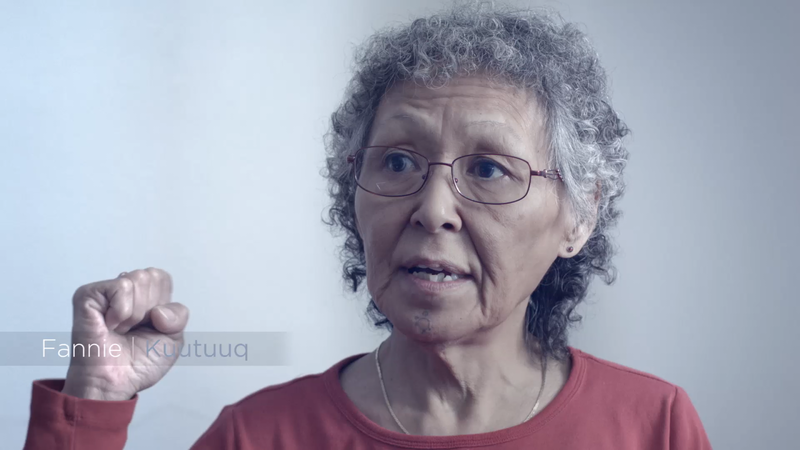 What makes this game unique is that it was created primarily as an expression of Iñupiat culture and heritage. Many Alaskan Natives, credited as cultural ambassadors, participated in the development of Never Alone. This collaboration ensured that their culture was accurately and meaningfully transposed into video game form. Elements of Iñupiat culture can be found in nearly every aspect of the game, including the setting, characters, story, and interview videos. La vie d’Arcade is an interactive story that explores modern-day Acadian culture. In this single-player adventure, players take on the role of a young Acadian boy named Arcade Comeau as he discovers his identity. The structure of the game is inspired by Telltale’s The Walking Dead series. Players interact with the story through choices that influence how the tale unfolds. LVA contains lots of reading in English and in multiple variants of French, reflecting the varied linguistic landscape of modern Acadia. Since language is widely considered to be a defining factor of Acadian culture, most of the plot’s conflict revolves around linguistic ideologies and beliefs. Now let’s compare these two games. The most obvious comparison is that they both share the same core goal: harnessing the power of video games to portray a minority culture. Tribal or minority cultures traditionally express themselves through writing, visual arts, music, storytelling, etc. Expression through video games, though, seems to be a recent phenomenon. Never Alone and La vie d’Arcade are the only examples I am aware of. There may be smaller projects like mine that exist somewhere out there, though. Both games contain cultural elements built into the gameplay, not just used as a superficial gimmick. In Never Alone, pretty much everything in the game, from the folk tale-inspired scenario to the bola item, stem from Iñupiat culture. 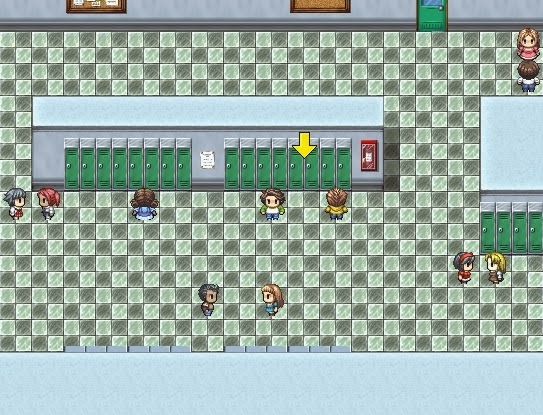 In La vie d’Arcade, the player can visit many Acadian institutions and make choices directly related to Acadian culture. I find it interesting that both games offer optional video or audio clips. 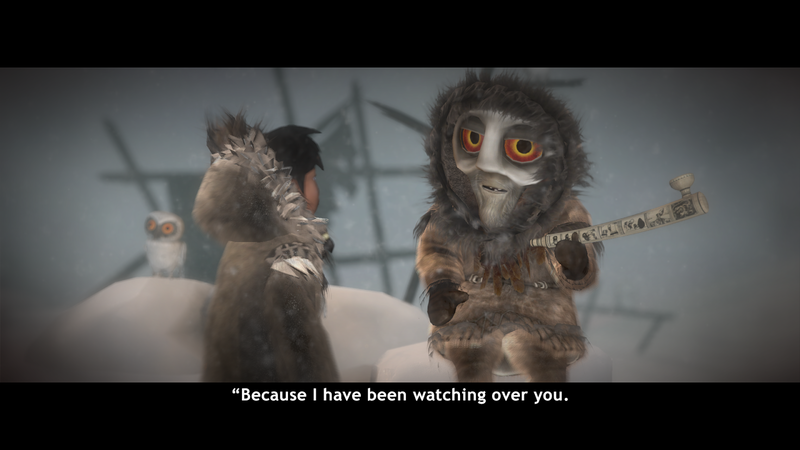 Never Alone contains many unlockable video clips that further explore themes presented in the game. For La vie d’Arcade, I recorded about a dozen audio clips of people discussing themes that appear in the game. It seems like we had the same idea of including extra cultural insight for those interested in learning more, yet not forcing them onto players. Another similarity is that both games were built using game-making engines: Never Alone was built using Unity, and La vie d’Arcade was built using RPG Maker. While both Never Alone and La vie d’Arcade have a lot in common, they also have differences. First of all, Never Alone was developed by a team with funding, while La vie d’Arcade is a hobbysit project with no budget. NA is sold for about 15 dollars, while LVA is offered as a free download. This makes sense since NA needs to make back its money and boasts industry-standard quality that justifies the price tag. Another key difference is that Never Alone is quite exportable while La vie d’Arcade isn’t. The fact that LVA is written in multiple languages and dialects means that the game isn’t very accessible to non-bilingual people. I had just assumed that a game about Acadians would only be played by members of that culture, but Never Alone showed me that cultural games can both benefit the culture creating it and help share that culture with others. This highlights a difference in our project goals: Never Alone is meant to share Iñupiat culture with the world, while La vie d’Arcade is aimed almost exclusively at Acadians (which, as a friend pointed out, is sort of typical for Acadian art). Both games hope to connect players with their culture, but only Never Alone is able to bring this culture to almost anybody willing to play. I’ve been using the term jeu culturel, or cultural game, to describe La vie d’Arcade. But since every game sort of reflects the culture that made it, I’m not very confident in that label. Minority culture games? Heritage games? What do you think would be a suitable name? Do we even need a name for these games at this point? Why are we only seeing these culture games now? I wrote about the concept of cultural video games a while back, and cited development costs as a reason why these types of games didn’t exist or were very rare in the past. I still think that the increased accessibility of development tools, like the engines used to develop NA and LVA, has helped these cultural games see the light of day. It’s easier than ever to make video games, so it makes sense that we’re seeing a bigger variety of games. I also think that the growing acceptance that video games can be more than just entertainment led to these game ideas. In any case, I think that playing and studying art games and serious games set my mind on the right track to dreaming up LVA. So yeah, it looks like culture games are a thing now. 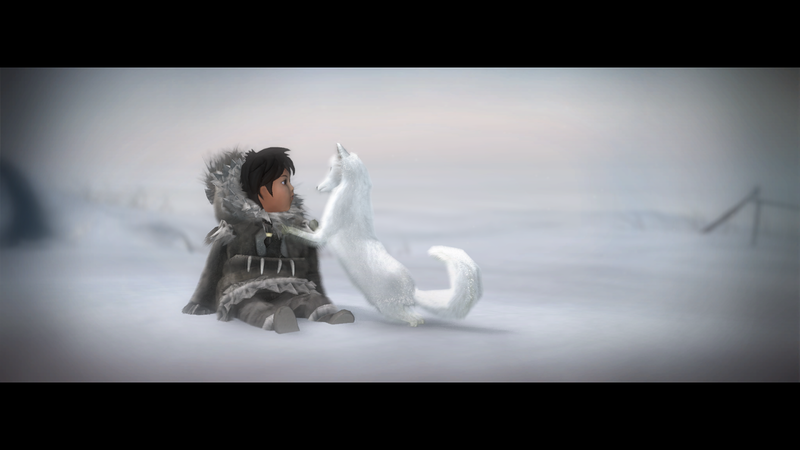 I’m glad I got to learn about the Iñupiat culture by playing the excellent Never Alone, and I am very much looking forward to playing new games that explore cultures from around the world.